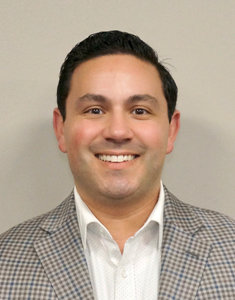 Frank, Sales Associate at The Blau & Berg Company, is responsible for representing all clients on either side of real estate transactions and his background in accounting and business management allows him to give his clients an edge. Frank began his career in the insurance world, working for Aetna as an employee benefits associate. While in that field, he was approached with an opportunity to become a partner of a specialty grocery chain. Following his passion for food and business, he was able to lead the company to growth in new markets and segments of the business. With experience as his strength, he rolled out independently to develop his own brand and store. After leading his team through location selection and construction, he realized his passion and excitement for real estate. Frank has maintained the store and has plans for future brand expansion. Frank’s extensive business experience, coupled with his unique understanding of client needs and budgets, makes him well suited to find the ideal site selection of your next investment or lease.